Looking for something to get them on their feet? 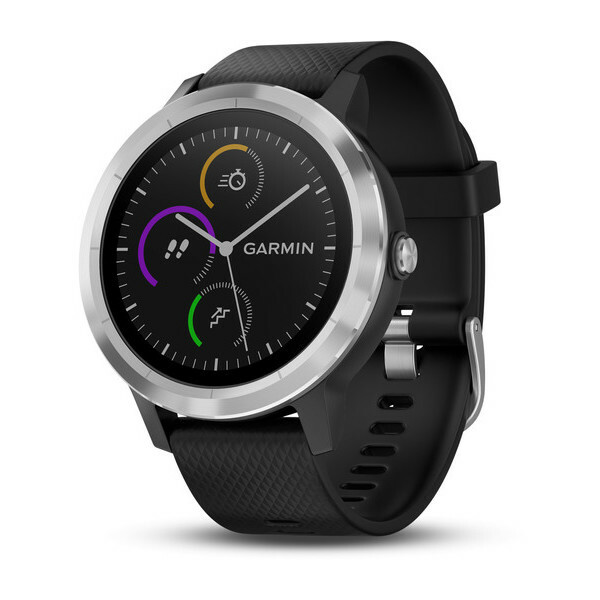 Fitness watches have been around for years, but the latest releases from Garmin are bringing them to a new level. There are plenty of options available so we’ve tried to narrow the list a little. The fenix 5 also has a great battery life (up to 2 weeks in smartwatch mode, 24 hours in GPS mode, and 60 hours in UltraTrac). The fenix 5 is comparatively a heavier watch which I prefer, but that opinion might not be shared by everyone. The Forerunner series, for example, is made from lightweight plastics to minimise the added weight. The Forerunner 935 is designed for triathletes, this watch records advanced metrics for running, cycling and swimming. The useful function for the forerunner 935 is its multisport functionality, you can quickly switch between modes, swapping seamlessly from running to cycling to swimming. This is ideal for anyone training for triathlon events, it will give you accurate information on your performance and detailed metrics on your training and how to optimise your recovery. The other significant advantage is the lightweight design it’s been designed to minimise weight to keep you as light as possible. 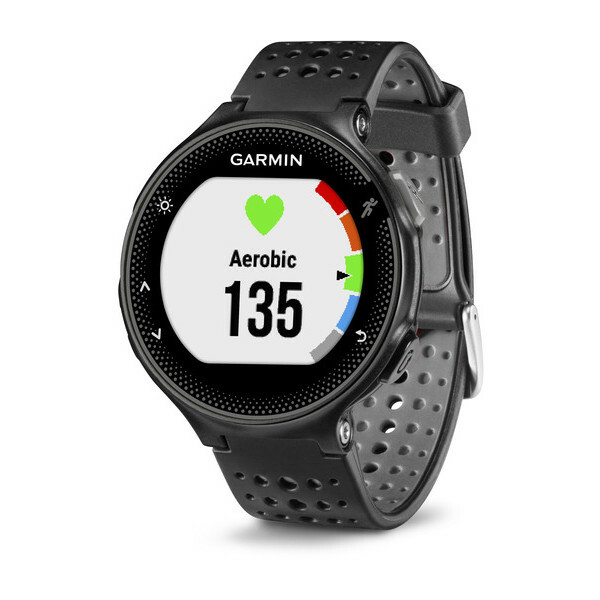 The 935 features an optical HR monitor which like most Garmin wrist-based heart rate monitors is accurate in most conditions, however, is not as reliable a Garmin HRM chest strap. The battery in smart mode: is up to 2 weeks, GPS/HR mode: 24 hours and UltraTrac Mode: up to 60 hours without wrist heart rate. 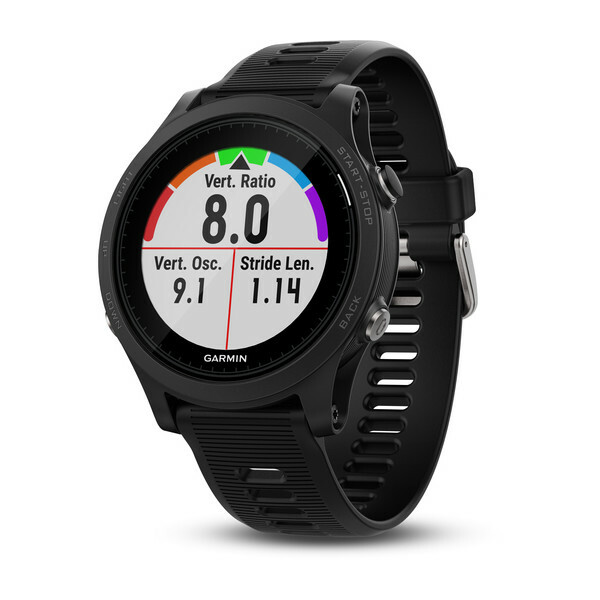 This watch is excellent value for money, it comes with a whole bunch of handy running analytics and is designed to be extremely lightweight like the Forerunner 935. It can also link up to your smartphone to display smart notifications and control your music. The forerunner 235 has a sleek design focused on 24/7 activity tracking. You can get all your vO2 max stats to give you the best information your recovery time between runs. The only significant issue I have with the forerunner 235 is the inaccuracy of the Optical HRM (to be fair wrist-based HRM has never been super accurate), my solution is to treat it as a guide rather than gospel. If you want precise readouts I would recommend using an HRM-chest strap. This is a great gift, I should know I received one. 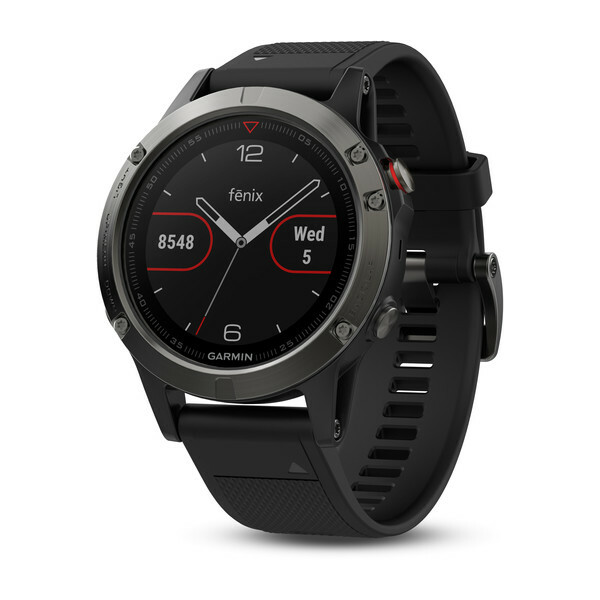 The vivoactive 3 is a powerhouse of a fitness watch, it’s a step down from Garmin’s flagship fitness watch the fenix 5, but it’s still packed to the bezel with features and stats and is a more affordable option. Garmin has also added a new NFC chip which allows you to pay without a card called ‘Garmin Pay’. At this point, it’s only available for commonwealth bank customers, but Garmin has recently updated their site to reflect ANZ Visa cardholders will also be added to the mix. You’ll still have GPS accuracy for tracking your runs, and the barometric altimeter will help keep tabs on how many stairs you’ve climbed. The wrist-based optical HRM has also been updated to be a lot more accurate now. Additionally, you’ll get a plethora of impressive stats like stress level, sleep cycle, resting heart rate, %HR Max and lots of sports and workout profiles to help you improve.